If you’re a fan of country music but you’re not keeping a finger on the pulse of the Texas country scene, you could be missing out on some great stuff! Despite the likes of Midland breaking out of the Lone Star State in the last year, many people are unaware of the number of fantastic acts that are plying their trade in Texas. 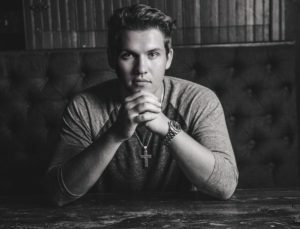 At 20 years old, Mason Lively is a relatively young guy in country music. His album was sent to me by the same people that sent me the wonderful Sam Riggs, so I knew it was worth checking out. We were able to catch up with Mason on the day before his record was released! It must be pretty exciting times for you! Your debut album ‘Stronger Ties’ is released on Friday. How are you feeling? I’m so excited! It’s hard to contain it! After all of the work that we’ve put into it, all the passion and everything. It’s kind of like a wake up call, like “wow, it’s finally here”! It must have felt like a long road getting it all ready for release? I think less nervous and more anxious to see how people respond to the whole album. The first single, Lonely Comes Back Around, has been about for about a month and we’ve gotten really good reception from that. I’m just really looking forward to seeing how the fans react to the whole record, I think they’re really going to love it. Like you say, the single has done really well and had a lot of streams of Spotify. I saw that it was the second highest debut in the Texas Pickers Spotify chart. That must be really encouraging? Oh yeah, absolutely! Even the fact that Texas Music Pickers and publications like that are even interested in an artist as new as me is incredible. It’s cool to see this Texas scene with it’s charts and everything like that, they’ve kind of got their own way of doing things and there are some big names from the scene on that chart so it’s cool to see mine with them. It’s interesting that you mention the Texas scene. Over here in the UK we get exposed to a lot of the mainstream Nashville stuff but I really love what’s coming out of Texas. Do you think it’s a more welcoming scene for an artist like yourself with such broad influences? Oh yeah! I think that the Texas music scene kind of holds on to that honesty that the mainstream Nashville music doesn’t really expose themselves to anymore. Just the honesty and realness of the music, Texas music is diverse, it’s not just traditional country music and there are a lot of different sounds to it. It’s all real and has that rawness and honesty to the songwriting. It’s not just a pandering type deal that a lot of the mainstream stuff that’s pushed out. I loved the album and, as a big fan of blues music, it seems to include a lot of different genres. How would you describe your sound and influences? Man, this has been the most challenging question so far from interviews because it is such a diverse record. That’s what we were going for, something that a fan of any genre of music could pick up a song and say “hey, I really like that”. Growing up in South Texas I was exposed to a lot of different kinds of music, when it came to real music like blues, southern rock, country, Americana, it really influences Texas music and myself included. I think that the combination of all those sounds really makes my sound. Thank you! Those are the bookends of the album and it was kind of accidental that we made it like that. We went from one extreme, you know, Heavy Toll has that real rockiness with my Chris Stapleton and Black Crowes influence in it, then you’ve got the final song to top it off in Angel Wings that has my Merle Haggard or George Jones influence on it. It really is a recollection of every sub-genre that I was brought up on and still listen to. It does make it a very interesting record to listen to. In terms of the songwriting, as you mentioned there is such a rich Texan tradition for meaningful songwriting, you’re a relatively young guy yet it sounds like some of those songs were written by an old guy who’s had a tough life! Where does that songwriting side of you come from? I get this a lot and in all honesty I have trouble answering this one! I guess the best way to summarise it is that there are some things that I’ve lived through at 20 years old, the heartbreaks and stuff like that, even what Heavy Toll talks about, living on the road and stuff like that. I get to that song now and think that it came from the anxiety of patiently waiting to take my music on the road. Again, it’s just a reflection of influence, I grew up listening to so much music and respecting songwriters and their craft. I think that the more I learned about songwriting I found somewhat a blueprint about writing songs, really it’s still hard not to sound cocky when I saw “I really knocked it out of the ballpark when I wrote this one!” In all honesty, I’ll catch myself saying stuff like that but it’s not from me boasting, it’s more me realising that the song kind of wrote itself and I was just the messenger! It’s not like you’re trying to phone it in, you can really feel the genuine nature. It’s interesting that you talk about the storytelling side of things because, over here in the UK, that’s something that we love about country music. Have you ever been over here? I have not! I’ve always wanted to, I love the culture and I’ve realised for a while what big fans of, not just country music, but Texas music in general you guys are over there. It’s really cool, I’d love to do a show over there! Hopefully there’ll be a European tour in the future! That was going to be my next question, do you think you’ll ever get over here? I’d love to! Our drummer actually studied for his masters degree over there! He’s from Texas originally but he was part of the Vanguard drumming team! He’s very familiar with the country, so he’d be psyched if we could head over! Circling back to the record, what are your hopes for this album? You know, the expectations are just, it’s more of a “finally!” feeling but at the same time we’re anxious to see where it takes us in general! We’re off to a very good start and we have a wonderful team behind us and a lot of these guys only push guys that have been doing it a while and are really on top of the scene here in Texas. I’m just so grateful for the fact that someone as new as me get’s these opportunities! 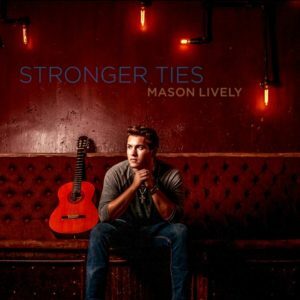 Mason’s album Stronger Ties is out now! Read our review now! You can listen to the album on Spotify here and buy it from iTunes here!